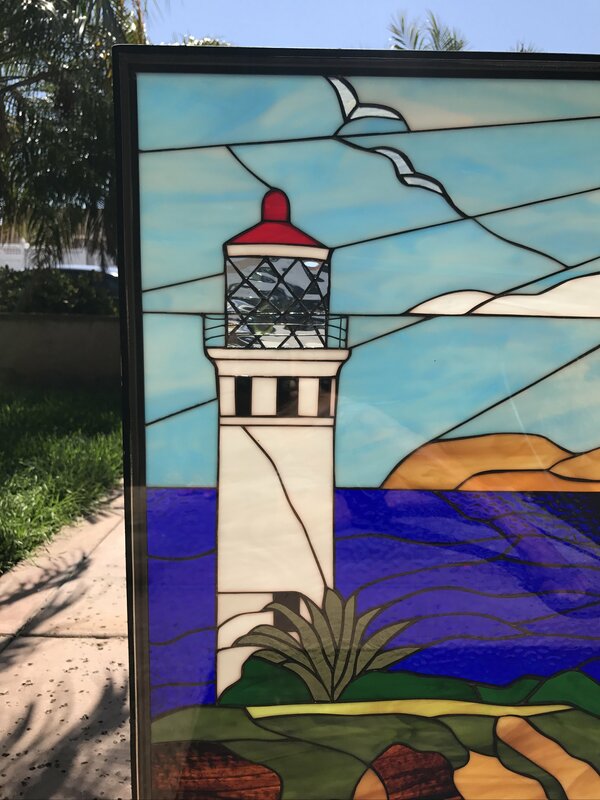 Lighthouses and sailboats bring a beautiful nautical theme to any space. 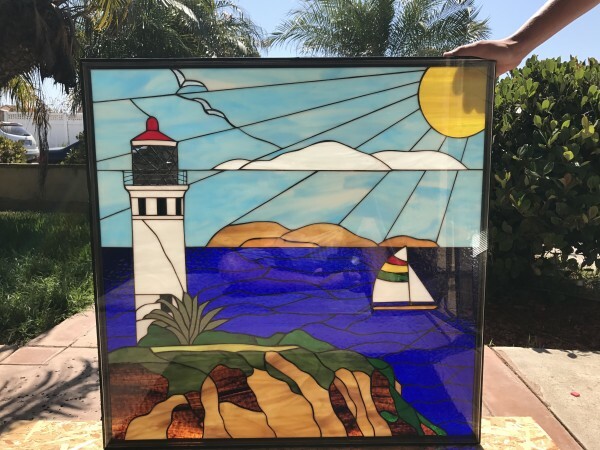 Change up drab scenery from your windows with an always-perfect view of Palos Verdes to Catalina Island. 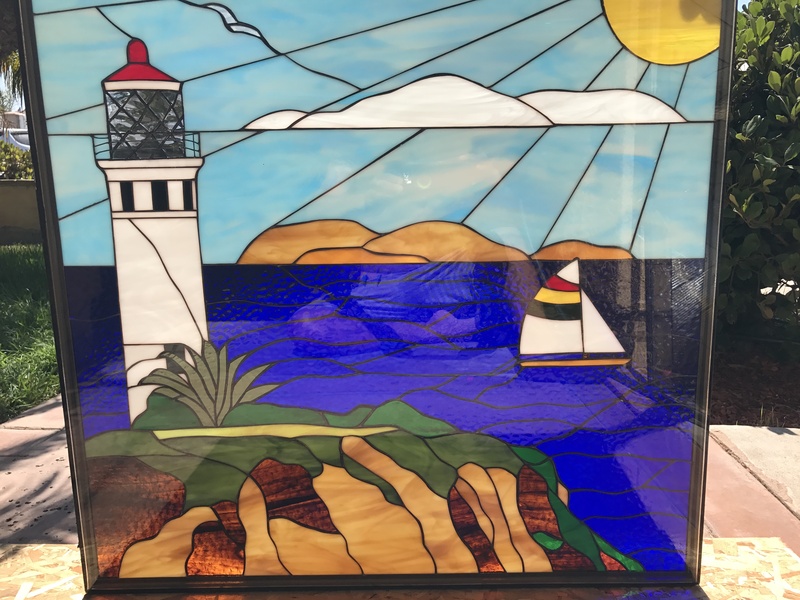 Our handmade stained glass window panel gives you the perfect view every day, with a lighthouse overlooking a deep blue sea, a cheery sailboat riding the waves, seagulls in flight, and the sun’s glorious rays touching down upon it all. Create that vacation-vibe any time of year simply by looking at it. Categories: Windows Made-to-order (Wide Range of Designs), Beach & Ocean, Logos & Famous Icons.